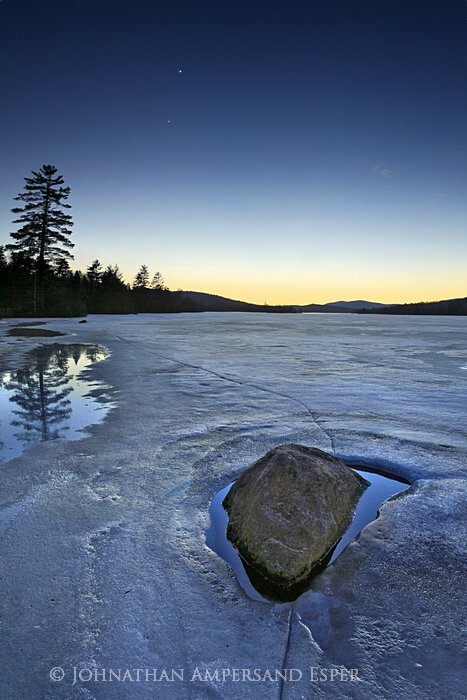 Lake Durant spring ice receding around a rock, with planets Venus and Jupiter aligned in an evening of March 2012. I've titled this photo "Planetary Rocks' Orbits" because the ice crack and rock seem to be a third 'rock' with visible orbit. Photo © copyright by Johnathan Ampersand Esper.